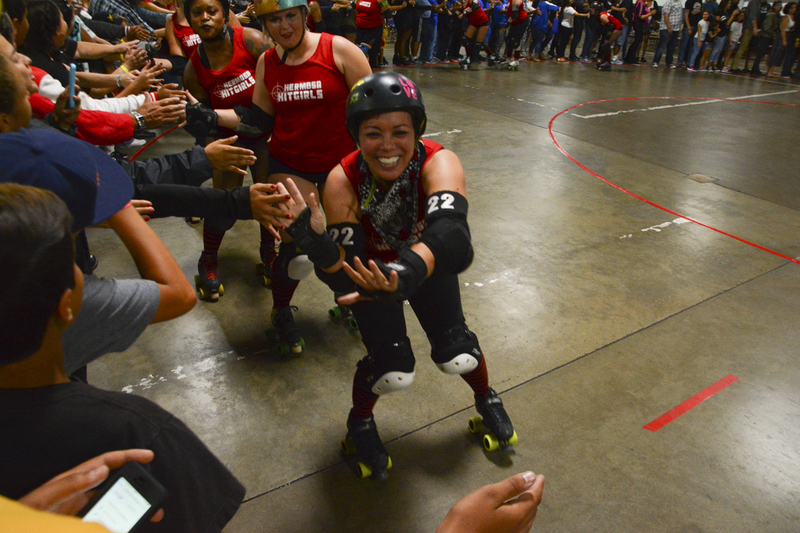 Today’s roller derby bouts bear little resemblance to 1970s films like Kansas City Bombers or Unholy Rollers. That’s partly due to rule changes since that time. The other reason for it is the people the sport represents are more diverse than it was back then. 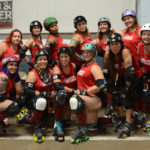 Roller derby is a contact sport played by two five-member teams roller skating in the same direction around a track. It’s one of the few contact team sports in which a ball is not involved. 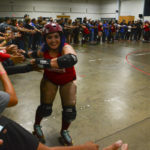 Each team has a jammer, a designated player who scores by getting past the opposing team to circle the track by a full lap. The teams, like in rugby or American football, attempt to hinder the opposing jammer while assisting their own jammer. However, they are playing both offense and defense simultaneously. There are as many as eight referees watching, checking for laps made and fouls committed. 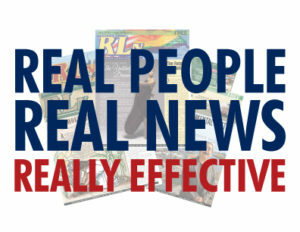 A game is composed of 60 minutes of play divided into two periods of 30 minutes. There’s a break of at least five minutes between periods. The team with the most points at the end of the game wins. Only skaters wearing the designated jammer helmet covered with visible stars are eligible to score points. 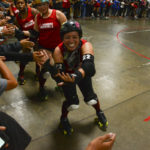 The jammer does not score points on opposing blockers on their first pass through the pack. This “initial pass” is to determine lead jammer status. 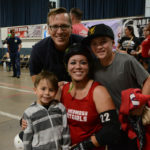 During an overtime jam, an exception is made: The initial pass is considered to be a scoring pass, and there is no lead jammer. These bouts are incredibly physical, fast paced and high scoring. For spectators seated around the rink, the action is as “in-your-face” as it can get with skaters flying by and getting slammed to the ground. Spectator involvement only adds to the intensity of a bout. 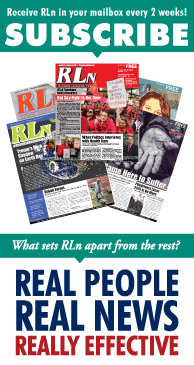 Mothers, grandmothers, professionals and working stiffs are competitors in this contact sport. 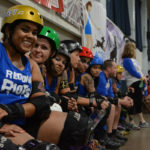 RLn photojournalist Linnea Stephan reminds us of this with her images of the Sept. 9 Beach Cities Derby bout between the Hermosa Hitgirls (in red) and Redondo Riot (in blue). It could very well have been a tailgate cookout in the Wilmington parking lot had people arrived with their barbecue grills. Instead, food trucks filled the parking lot with meat sizzling on their grills. The sound of emcees and referees, raffle ticket sales and screaming fans, who engage wildly when elbow pads hit the floor or a point is scored. 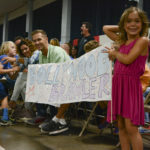 The crowd was comprised of friends, spouses, sons, daughters, nieces and nephews and loyal fans. 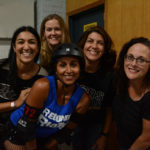 The Redondo Riot walked away with the win—221 -175, yet, both teams, if Linnea’s photos are any indication, had a lot of fun. This year marks the South Bay league’s fourth year of existence and at this point they are more than halfway through the season, with two more competitions remaining. The dates for those bouts are Oct. 7 and the championship bout is set for Nov. 11.